Traveling a distance, passed many pet day and vacation care establishments, is well worth the drive for the excellent attention our cherished Rusty receives in your care! We have researched extensively for the most appropriate care our treasured family member would receive while on vacation. Your pleasant skillful staff, cage free environment, the over seven acres of fenced playground, large in ground swimming pool with convenient different depths, a huge training barn for incumbent weather, constant staff supervision and the usage of the major part of your personal home during evenings and nights well-matched our desired care and more. Your requirement of mandatory shoot records and that you always preform a two hour temperance assessment prior to accepting any new pet provides a significant measure of confidence to owners of their pet's safety. Also your pictured post cards of Rusty during his stay are a very welcome and thoughtful touch. 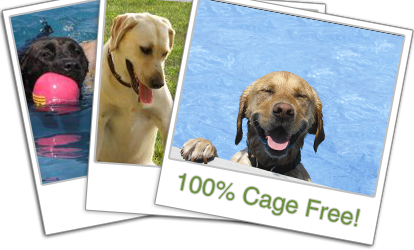 As for the past five years we are looking forward to our care free yearly vacation with Rusty in your care. We can't thank all of you enough for the kindness and peace of mind rendered to Rusty and ourselves!!!! With Much Appreciation to Brenda and Staff, Dan, Dee and Rusty of Course'"
Collar-related accidents are more common than you think! Over 26,000 collar-related accidents occur each year - that's an average of 71 a day! 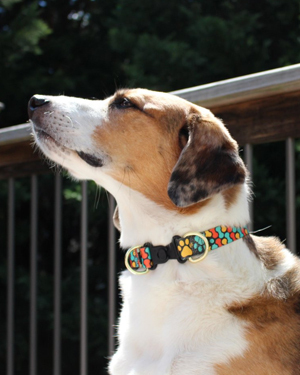 The KeepSafe Break-Away Collar is the only collar designed to prevent dogs from getting entangled by their collars, the patented break-away safety buckle releases when pressure is applied. Most collar accidents happen when multiple dogs are playing or when the collar gets stuck on an object. If your dog's collar gets stuck on something and starts to choke, the buckle releases and the collar falls off harmlessly. When you're ready for a walk, just hook the leash clip around the 2 D-rings to prevent the buckle from breaking away. Extra-small and Extra-large options are available in limited color options please contact us for these options. District Threads Navy crew-neck T-shirt. The shirts are super lightweight and extremely comfortable in the summer. 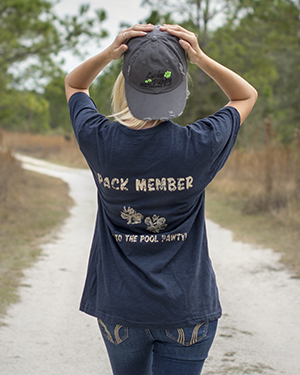 Front of shirt features the "Lucky Puppy" with Paw print logo, back of shirt says "Pack Member" with paw prints and "Back to the pool pawty" across bottom. Adjustable District Threads Distressed Cap with the Lucky Puppy country doggy daycare logo. Buy together and save! Both the District threads, adjustable distressed cap and crew-neck T-shirt for one low price! GoughNuts are guaranteed for life! If your dog is able to chew through, it can be returned to the company for a new Goughnut at no charge. GoughNuts chew toys are designed knowing that safety and fun go hand in hand. Each GoughNuts Ball is designed with a multi-axis groove system for the purpose of helping to aid in breathing in a worst case scenario air blockage situation. Green is the standard toy, while Black is for the aggressive chewer. 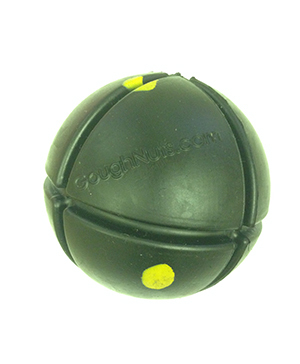 GoughNuts is the ONLY chew toy used in our playground for over 8yrs! GoughNuts are guaranteed for life! If your dog is able to chew through, it can be returned to the company for a new Goughnut at no charge. The GoughNuts chew toys are designed knowing that safety and fun go hand in hand. 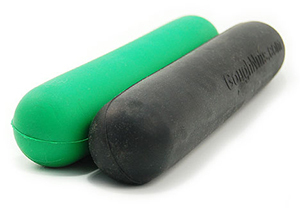 Each GoughNuts pet toy has included in it's design the GoughNuts patented safety indicator where Black/Green means "GoughNuts" and Red means "Stop". Green is the standard toy, while Black is for the aggressive chewer. GoughNuts is the ONLY chew toy used in our playground for over 8yrs! GoughNut - The original GoughNuts Large toy was designed to address the simple but serious issue of SAFETY. The GoughNuts chew toys are designed knowing that safety and fun go hand in hand. 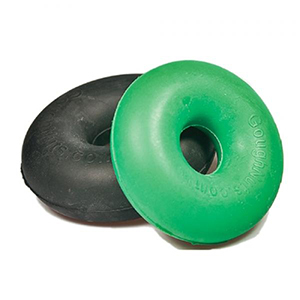 Each GoughNuts pet toy has included in it's design the GoughNuts patented safety indicator where Green/Black means "GoughNuts" and Red means "Stop". This was the company's first design. Green is the standard toy, while Black is for the aggressive chewer. GoughNuts is the ONLY chew toy used in our playground for over 8yrs!